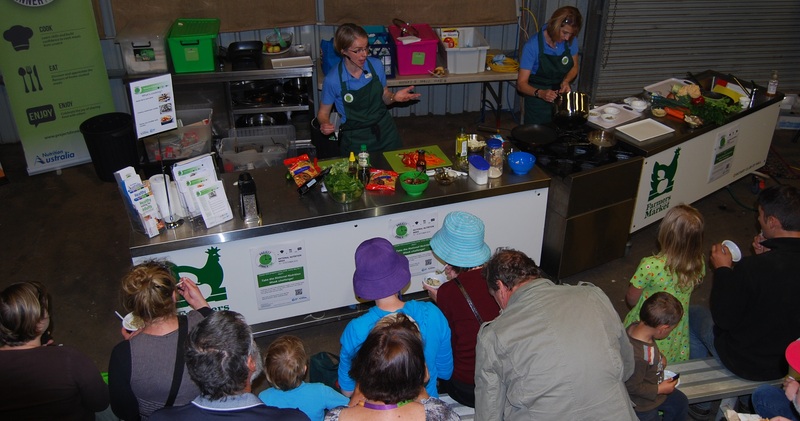 Farmers market shoppers were treated with healthy dishes demonstrated by the NA ACT on Saturday 4 October. The Mushroom risotto was a HIT using the delightfully flavoursome Swiss brown mushrooms fresh from the producer that morning. We even managed to convert some “non-mushroom-eaters” to taste our dish and they had to came back for seconds and the recipe. The mushroom risotto recipe, along with the complete suite of Nutrition Week recipes can be accessed by visiting the Nutrition Australia website. Simply register to take the pledge to cook.eat.enjoy all your meals every day during National Nutrition Week and you will be given free access to a selection of healthy meal plans, recipes and shopping lists to help you achieve your challenge. 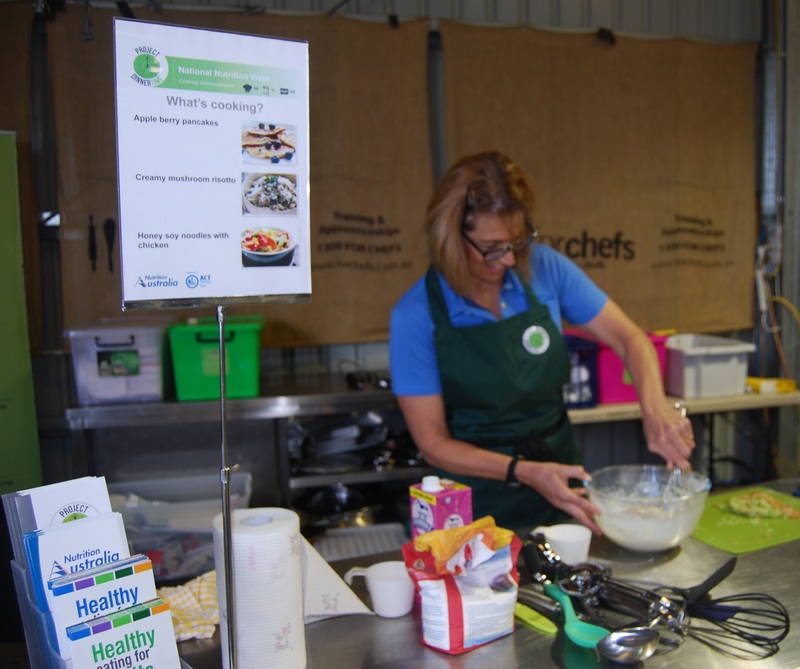 As part of National Nutrition Week, Nutrition Australia ACT will be delivering some free hands-on cooking workshops on Tuesday 14 and Wednesday 15 October. Places are strictly limited so people need to book in early. See the NNW cooking workshop flyer ACT for more details.